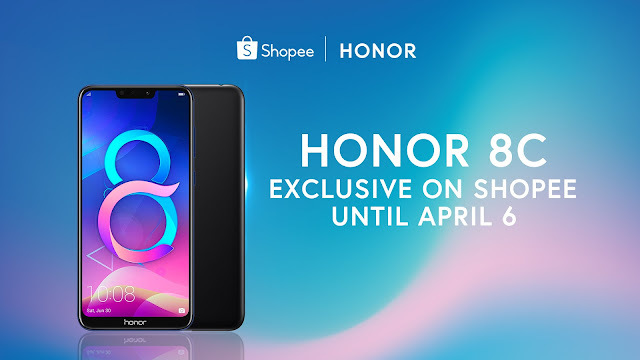 MANILA, April 2, 2019 – Shopee, the leading e-commerce platform in Southeast Asia and Taiwan, and global smartphone e-brand Honor Philippines have teamed up to bring the Honor 8C exclusively to Shopee for convenient online purchase from now until April 6. The Honor 8C comes with a powerful Snapdragon 632 Chipset Processor, long-lasting 4000 mAh battery, a mesmerizing ‘Cat’s Eye’ design, and a ‘DND’ or do not disturb Mode for maximum gameplay experience. But that’s not all that the Honor 8C has to offer. The Honor 8C has built-in 13MP + 2MP dual rear cameras and an 8MP front camera. These don’t just upgrade the quality of the photos, but also allows users to add playful AR stickers to their pictures. Users also have the option to use animated backgrounds for their selfies. Nowadays, fingerprint scanners can be found on almost all smartphones. The fingerprint scanner on the Honor 8C is conveniently located at the back for easy access. But it doesn’t just unlock the phone. It can also be used to answer calls, stop an alarm, pull down the notification bar, swipe through photos, and even take photos and videos. Most dual sim phones in the mid-range category only allow for one sim to be connected to 4G data. Not with the Honor 8C as both sims can be on 4G. The phone also allows users to have two accounts for an application via the App Twin feature. Users can have two numbers and accounts for apps like Whatsapp and Facebook on one phone. Users can maximize the beautiful 6.26 inch FullView display by turning on the single key navigation in the settings. This takes out the navigation bar at the bottom allowing for a more unobstructed view of the display and easier single-handed use. Smartphones allow users to be ‘on’ all the time. However, prolonged exposure to screens have a negative effect on users’ health. The Honor 8C features a blue light filter, which reduces the strain on users’ eyes from continued screen exposure. Although the Honor 8C has a long-lasting 4000 mAh battery, it still has features that allow users to maximize the battery life further, like the smart resolution. Turning this on reduces the resolution from HD or HD+, allowing users to choose how to get the most out of their remaining juice. Using a smartphone as a hotspot is not new, but the WiFi Bridge of Honor 8C allows users to turn their phones into hotspots, not by using up their data, but by sharing an existing WiFi network signal to others. The best reason for buying the Honor 8C is that it is available online exclusively on Shopee for hassle-free shopping until April 6. 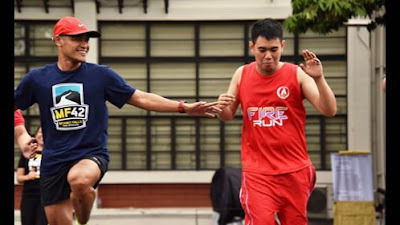 It also offers a lot of practical and advanced features for the affordable price of ₱7,999. Visit the Honor official store at https://shopee.ph/honorph.officialstore.